I remember 2 years ago, while I was making the leap from dial-up to broadband, there was a waiting period for my DSL application. And since I needed fast internet access immediately, I opted to buy the cheapest 3G enabled phone in the market. Unfortunately, during that time, the cheapest handset from any brand capable of fast speeds cost a little close to P10,000. But since I needed the connection, I got it anyway. Since then, I've been checking out prices of 3G phones and if the market prices would lower. Last year, LG released one for around P6,000. 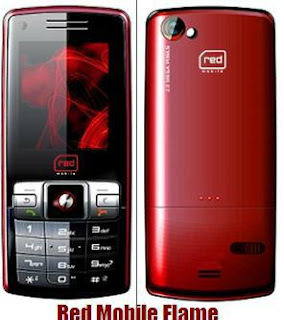 But just recently, Red Mobile released the cheapest 3G phone in the market for only P3,290. Along with their new handsets, Red Mobile is also rolling out very affordable usage rates. They have the cheapest call rates for only P0.50 per minute for inter-network Red Mobile calls. That's like a 10 minute call only for P5.00, even cheaper than a landline call on a pay phone. What's even more spectacular is that their video calls are also priced at P0.50 per minute. With those rates, you can make a video call and have someone virtually attend a birthday party any other momentous ocassion for a cheap price. And with Red Mobile's various affordable new mobile handsets to choose from, your 3G experience will be complemented with your new mobile phone's experience. Red Mobile recently released 4 new 3G capable phone models, Verzio Duplii, Nokia 3120 C, Red Mobile SPARK and Red Mobile FLAME. Among the four, the Verzio Duplii seems to be a new brand not familiar with majority of the public. Verzio is a Singapore-based manufacturer which introduced its new Duplii phone, the first dual-SIM handset. The phone features a "simultaneous dual mode standby" and is able to handle two incoming calls from both SIM cards. It also includes a 2 Megapixel camera, a 2.2" QVGA TFT screen, a microSD slot, and an integrated media player. With all these new offerings from Red Mobile, using 3G is as cheap as sending text messages. Experience 3G now with Red Mobile.